This spacious clean-lined modern kitchen is designed to lighten, brighten, and maximize style! 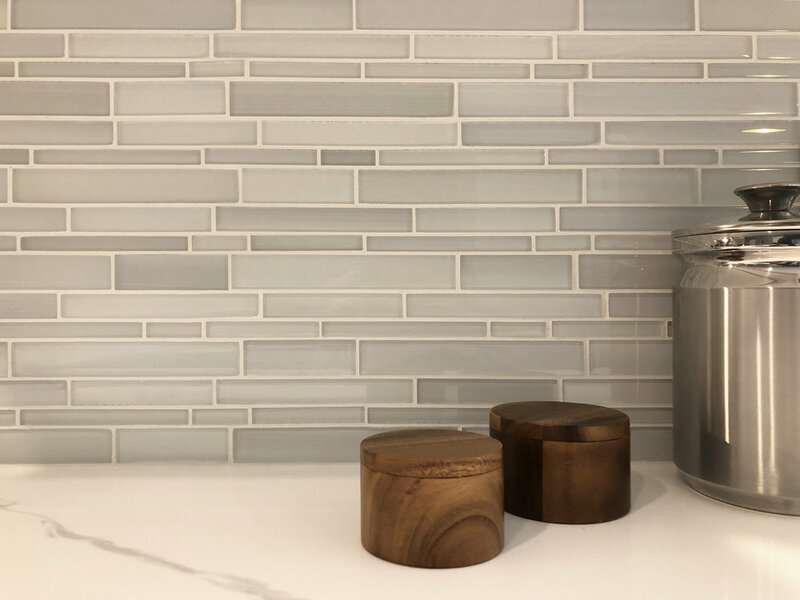 With a cool color palette of blues and greys, and modern materials in crisp white, this space is perfect for gathering with the whole family. With a huge island draped in waterfall-style counter tops there is plenty of prep space, and with the angled two-tier peninsula and breakfast bar, there is plenty of casual seating as well. 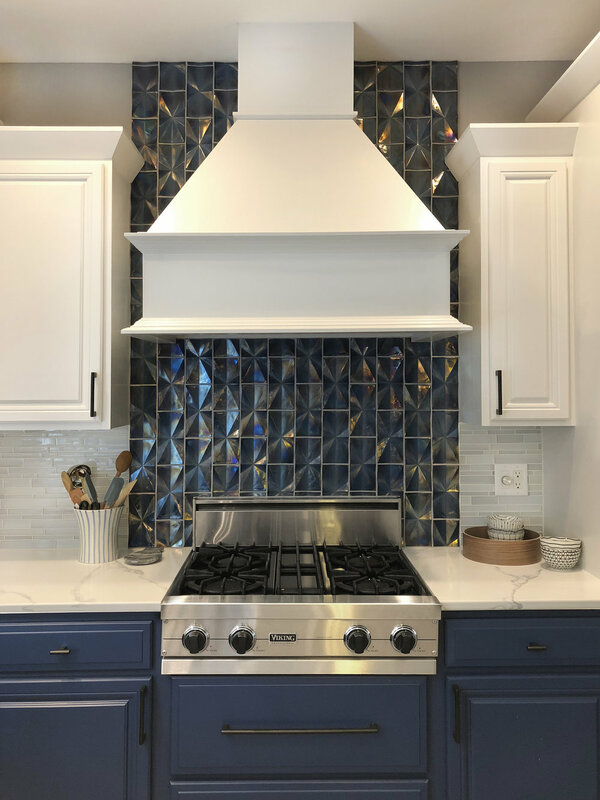 Among many other details, our design features rich blue base cabinetry and a correlating iridescent blue 3-dimensional tile backsplash over the cook top. We’re in love with this space, and feel so pleased to deliver a space these clients thought they could only dream of!